Has anyone in the Lewistown area had any personal experiences with the BEK (black eyed kids) Phenomenon? 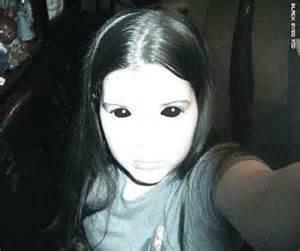 Black eyed kids appear to be normal children in about the 8-14 year old range. The main difference is their eyes are black. No iris, no whites, just an empty, soulless void. They also seem to ignore weather, sometimes out in cold weather without much on. Most reports generally involve the children’s request for the person to let them inside their car or house, frequently using an excuse such as “I need to get home to my mother,” or something that implies the child is in need. We at night watch paranormal would be interested in hearing about anyone’s encounters, thoughts or suppositions about this phenomenon.